A contemporary styled electrical plug sockets with a gloss white painted finish onto a solid metal backplate. 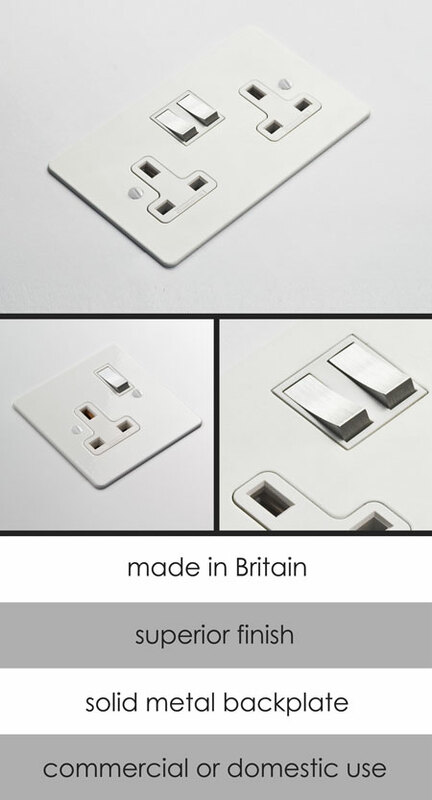 These white sockets are available as a single or double plug socket. Within this designer collection we offer a full range of matching household electrical fittings. * Made in Great Britain. * For technical tel 01722 415000.